Carpinus caroliniana ‘JN Select A’ was selected by Michael Yanny at Johnson’s Nursery in about 2003 for its consistent orange-red fall color, fast growth rate, excellent form and branching, and superior hardiness. The tree was selected from a crop of 563 seedling whips. Most trees in the crop were damaged by a severe snowless winter. Their roots froze out. The majority of the crop was grubbed. It was an open winter and frost penetration was extremely deep. 12 trees of the 563 had shown good orange or red fall color the previous fall, had good growth rates, and were not damaged by the severe winter. ‘JN Select A’ was the best of these 12 trees. The tree has an upright branching habit as a youngster and develops a round head with age. A seven year old plant from a graft in Wisconsin will be about 1-3/4” in caliper and have a head on it that is 5’ wide by 6’tall. 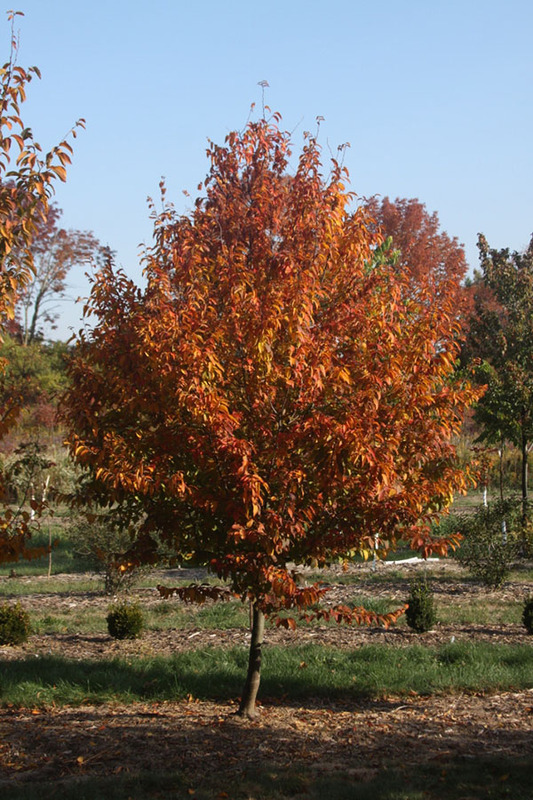 This is considerably faster than a typical Carpinus caroliniana seedling of upper Midwestern U.S.A. seed provenance. ‘JN Select A’ has no serious insect or disease problems. ‘JN Select A’ ‘is useful as a specimen plant because of its outstanding ornamental and carefree characteristics. Like others of this species, it has beautiful smooth gray bark that is similar to beech trees. It is especially valued in the winter time. It has an orange-red fall color that reaches its greatest intensity when grown in full sun. The plant could also be used as a broad screen for sun or shade as it will tolerate both. Care should be taken to mulch all Carpinus caroliniana plants because of their roots sensitivity to quick freezes. 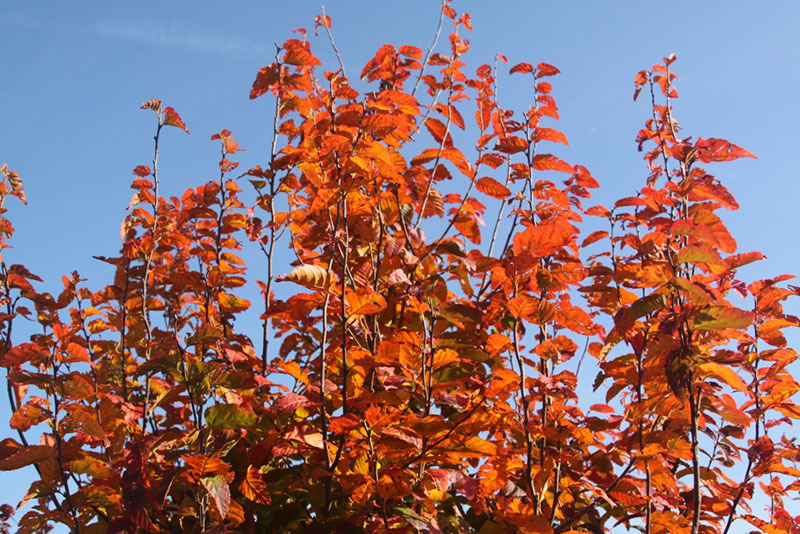 ‘JN Select A’ should be grafted onto seedling Carpinus caroliniana rootstock for best results. This cultivar has outstanding production characteristics. 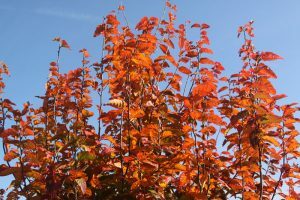 A 5’ branched tree can be easily grown in a container from a graft in 2 years time. 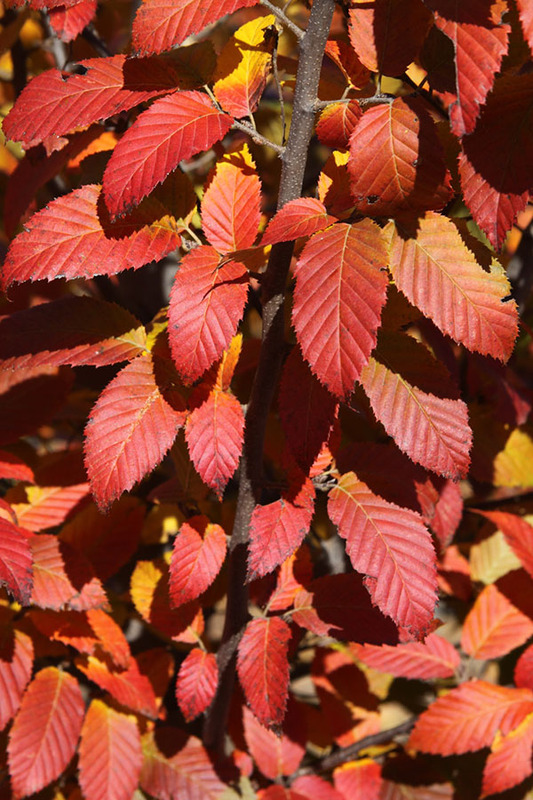 Because of its rapid growth rate it should outperform other Carpinus caroliniana cultivars of northern provenance in the marketplace. 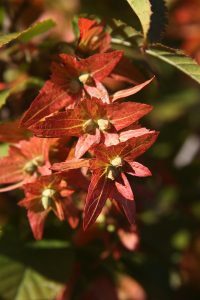 It is an excellent choice for people wanting to become familiar with this fine, little known, native tree.